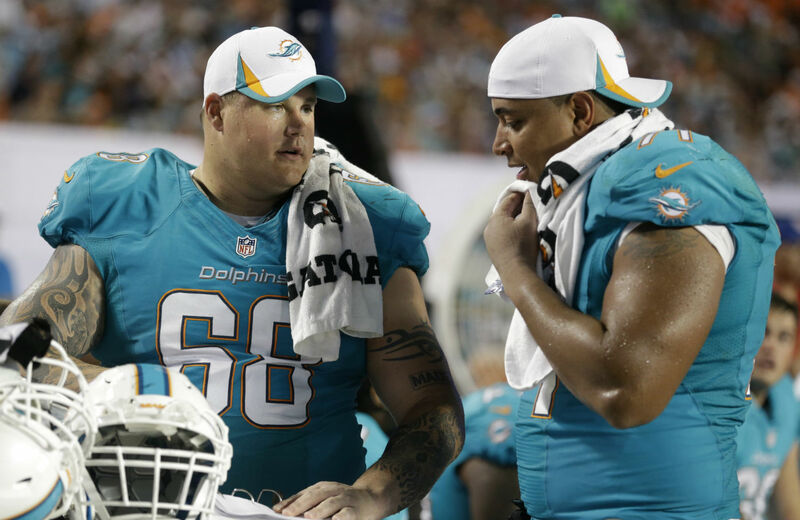 Jonathan Martin’s need for mental health care and his courage to blow the whistle on the Miami Dolphins has not prevented him from finding a new NFL home. Neither of the above pieces was unsympathetic to Martin, and the two writers should not be singled out as outliers. To the contrary, both reflected a common sentiment repeated often on sports radio: Martin was too “soft,” too “vulnerable” and too much of a “distraction” to get another chance in the National Football League. Now we know that Martin’s NFL career is not over, and this is cause for relief. The 24-year-old second-round draft pick and two-time All-American is now a member of the San Francisco 49ers, traded by the Dolphins for a song—a seventh-round draft pick that Miami receives only if Martin makes the team. It is difficult to think of a better landing place than the 49ers. They have a strong foundation, veteran leadership, a solid offensive line and most importantly, are coached by Martin’s Stanford University coach Jim Harbaugh. Jim Harbaugh, Martin’s former head coach at Stanford and the current head coach of the San Francisco 49ers, told us that he had never doubted Martin’s tenacity, work ethic and dedication to the game, and that he had never seen Martin exhibit problems with social adjustment. Coach Harbaugh told us he believed that Martin likely could continue to have a successful career in the NFL. It appears that Martin was up to the challenge of dealing with physical or verbal intimidation by opposing players during NFL games, but fell victim, at least in part, to persistent taunting from his own teammates. This entire situation has been a stench-producing view into the reality of one NFL locker room. Jonathan Martin getting a second chance is a sign that something productive could emerge from the toxic landfill in Miami. Another positive sign was news that after trashing his own car with a bat, Richie Incognito admitted himself into a mental health facility. There is no shame in needing help. Degradation is only assured if someone pretends all is well, thinking that they are going to “man up,” when in reality they are just biding time to a greater fall. It is hard to find someone who does not hope Jonathan Martin makes it all the way back from whatever depths of depression he found himself in last year. We should hope Richie Incognito makes it back as well, whether or not that means finding a place on an NFL team.